…there is was a story of an old Scotchman, who was one day on his way to some mission week services. The old Scotch pilgrim was poor and ill-clad, as well partially deaf, but he trusted in the Lord whom he served, and rejoiced in his kind providence. On his way to the meeting he fell in with another Christian brother; a younger man, bound on the same errand, and they travelled on together. “When they had nearly reached the place of meeting it was proposed that they should turn aside and have a little prayer. They did so, and the old man, who had learned in everything to let his requests be known unto God, presented his case in language like this: “Lord, ye ken weel enough that I’m deaf and that I want a seat on the first bench if ye can let me have it, so that I can hear thy word; and ye see that my toes are sticking through my shoes, and therefore I want ye to get me a pair of new ones; and ye ken I have nae silver, and I want to stay during the meetings, and therefore I want ye to get me a place to stay. “When the little outdoor prayer-meeting was finished, the two Christians arose and resumed their journey. They soon arrived at the church in which the meetings were to be held, and the old Scotchman took a position in the rear of the church, and placed his ear-trumpet to catch the words of the speaker: pretty soon a gentleman motioned him to come forward and occupy the front pew where he could better hear. At the close of the service a lady noticed his ragged shoes, and asked him if they were the best ones he had. “Yes,” said he, “but I expect my Father will get me a new pair soon.” “–Come with me,” said the lady, “and I will get you a new pair.” “–Shall you stay to the end of the meeting,” asked a Christian lady. “I would,” said the Scotchman, ” but I am a stranger here, and have nae silver.” “–You shall be made welcome at my house,” said the good lady. The old man thanked the Lord that he had given him all that he had asked for; and while his younger brother’s reverence for the Lord was right and proper, it is possible that he might have learned that there is a reverence that reaches higher than the forms and conventionalities of human taste, and which leads the believer to come boldly to the throne of grace, and to find all needed help in every trying hour. Taken from the “British Monthly,” 1903. Written by William Robertson Nicoll. The years went on, nearly forty years, and when Mr. Spurgeon was in his last illness archbishops and bishops vied with one another in expressing their concern. The great newspapers that support the Church of England recognized in him one of the most powerful and beneficent figures who had ever appeared in London. The West End evening papers put the latest news of him in the most prominent place on their bills. He fell like a tower, and no one was found so base as to say one word against this manly, godly, devoted life, and his unparalleled ministry. Nearly ten years have passed since “Mr. Spurgeon’s death, and now we are left with his memory, and with the great collection of his sermons that is ever being added to. Is his influence declining? It might very well have declined, for he was almost the greatest of our orators, and an orator’s power is cut short by death. His sermons, however, were independent of his oratory. They are as great to the reader as they were to the listener. For ministers and teachers they are simply indispensable. The preacher who does not possess some volumes of the “Metropolitan Tabernacle Pulpit” –the more the better –who does not read them to kindle his own soul, is poorly furnished for his work. 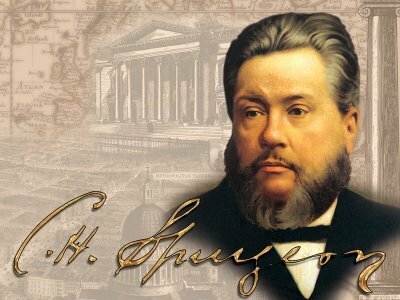 It is by those who speak in the spirit of Spurgeon that England will be raised from its religious lethargy. Better part with all commentaries, German and otherwise, and be content with the Bible of Spurgeon, than neglect this signal trumpet-voice. If we have a preference, it is for the sermons preached in the sixties, [1860’s] and for the morning sermons above the evening. One ardent admirer of Spurgeon whom we knew long ago said to us, that in the morning sermon the first page was nearly always more nobly phrased than in the evening sermon. Yet after these years we are not so sure. There is a ripe and tender humanity in the discourses of the last ten years which is very endearing. I have spent an afternoon and evening in reading through a whole volume of the sermons, and I shall set down my fresh impressions. 1. In the first place, Mr. Spurgeon is always wooing the soul. What was said of Richard Cameron, the Lion of the Covenant, is true of him: “He had a bias towards the proposing of Christ.” All his preaching is persuading. He is always pleading, warning, wrestling; he is bent upon the soul’s salvation. There is so much preaching nowadays and in all days which completely lacks tliis element. The preacher sets himself to defend some theory or to destroy it, but there his work is done. He never gets into close contact with the hearer. “I have a message from God to thee” is the note of the true preacher. Mr. Spurgeon takes hold of his hearers, urges them, implores them, threatens them, promises them, and cannot bear to let them go until he has blessed them. Never were any sermons preached more full of that zeal for souls which should be the first characteristic of a true minister. It is very difficult to reach and maintain this height. Every one knows that before he can plead effectively they must be under the influence of strong feeling. Pleading in the true sense is not natural to human nature. But when a man pleads for a woman’s love, when a man is face to face with his errings on and trying to draw him away from the brink of ruin, when a friend implores a friend to refrain from some madness that will wreck him, we are in the element in which the seeker for souls must move, and in that element Mr. Spurgeon lived and moved and had his being. It is, perhaps, in this way that he will be most useful to preachers. As we have said, it is not natural for any one to plead, and in addition the preacher has temptations that draw him away from pleading. He can never plead well unless he is in deep and passionate earnestness, and he cannot be sure of the mood. On the other hand, he may argue well, he may picture well, he may expound well, in the lower, easier frame. Besides, pleading is apt to spoil the peroration or the artistic close. All care for such considerations Mr. Spurgeon had expelled from his mind. Every time he spoke he was wooing souls impressed not only by the urgency of their need, but also by the great provision for that need in the grace that is in Christ Jesus. If before going to the pulpit, preachers would read some of Mr. Spurgeon’s sermons, they would find it far easier to feel and manifest that concern for souls without which the preacher cannot hope to achieve anything permanent. 2. I am impressed also with the fact that Mr. Spurgeon above all other preachers, preached the Word. So many preach from the Gospels or the Epistles, or the New Testament, or favorite parts of the Old Testament. Take a volume of the ” Metropolitan Tabernacle Pulpit,” or, better still, look at the exhaustive index to the sermons published by Messrs. Passmore and Alalaxter, and you will see how Mr. Spurgeon ranges over the whole Bible. I take up a volume at random, that for 1892, containing sixty sermons, and I find that they are taken from Genesis, Exodus, Deuteronomy, 1 Samuel, 2 Samuel, 1 Chronicles, 2 Chronicles, Nehemiah, Job, Psalms, Ecclesiastes, Isaiah, Jeremiah, Ezekiel, Daniel, Hosea, Zechariah, Matthew, Mark, Luke, John, Acts, Romans, 1 Corinthians, 2 Corinthians, Ephesians, Philippians, Hebrews, and James. He rightly divided the Word of Truth. Nor did he read into his texts –at least,he read no more into them than Christ and the Apostles did. He interpreted the Old Testament from their standpoint. If they were wrong, he was wrong; if they were right,he was right. At present in many pulpits the Old Testament has fallen into almost complete disuse, or at least many parts of it are neglected. There was no part of it where Mr. Spurgeon could not find the Bread of Life. For him the two Testaments interpreted one another. This gave an astonishing freshness to his preaching. For the multitude of Christians in all ages the Bible must be its own commentary. Scripture must be interpreted by Scripture. Any views that prevent such an interpretation are stamped with falsehood. I note another characteristic, perhaps the most striking of all. Preachers nowadays as a rule avoid great subjects. They are afraid of great texts. They prefer some quaint unexpected text, and a subject which may be illustrated from literature and the common experiences of human life. I do not deny for a moment that there is a great place for such sermons. If a preacher can put himself on common ground with the thoughts of the hearer during the week, he has a much better chance of being listened to and remembered. Nevertheless, there are some preachers who do not need this, and of such was Mr. Spurgeon. He moved among the last awful secrets of the Christian redemption like a child at home. It was not merely that he was a great and trained theologian –he was that in the most eminent degree from the commencement of his London ministry. He had thoroughly mastered great theological system –mastered ‘it in all its bearings –and was never carried away by the exaggerating of separate aspects of the Faith. He saw the truth in all its breadth and in its manifold connections. He did not, for an example, preach Christ in us apart from the truth Christ for us. Neither did he preach Christ for us and forget to speak of Christ in us. But with him theology was a matter of experience. He never taught it in dry dogmatic propositions. The greatest and profoundest faiths he had passed through the fires of life. He could sing about them as well as preach about them. Ministers may ask themselves (and this is a very good test) Can I preach from the words “Accepted in the Beloved,” or “Not having mine own righteous”? The preacher to whom those texts suggest nothing does not know the burning heart of Christianity. But if he is carried away into the depth of these texts, and is able to preach on them from living experience, he has an unction from the Holy One, and is greatest when he speaks of the stories of spiritual experiences. When he deals with the ordinary griefs of life, especially with bereavement, he is less helpful than in other places, for he himself perhaps never quite understood the agony of loss. On the other hand, he knew as few have known what it was to be in the valley of spiritual humiliation. I wish it were possible that his expositions on the Psalms could be published separately; they are quite alone, so far as I know, in our literature. Mr. Spurgeon cast his plumbline marvelously far. Written by, W. H. T. Dau. 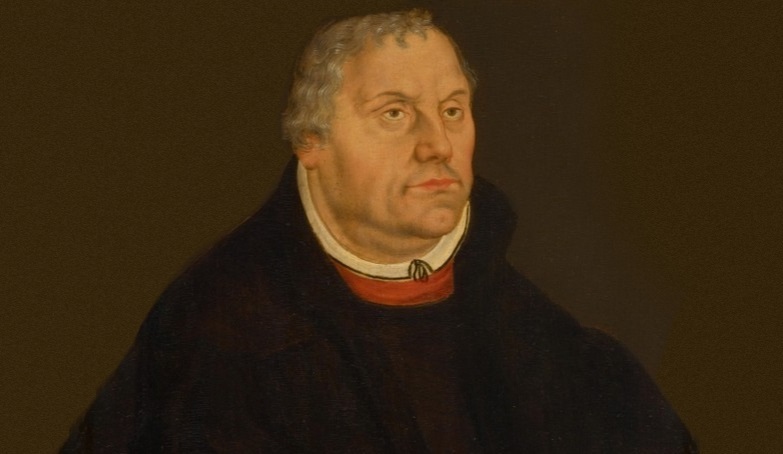 Luther is writing the Preface to a collection of theses for theological debates on matters relating to the papacy which he had conducted at the University of Wittenberg, and which were published in the fall of that year. Twenty-one years had passed since he had ventured into the arena of public debate as a timid searcher after light and truth. The questions which had agitated men’s minds at that time had meanwhile been brought to a decision. The Church which had been torn with the fiercest conflict in its history was settling, at least as far as the relation of the Evangelical party to Rome was concerned, into the condition of a permanent rupture. The decision had been reached; the schism had come, and Luther’s side had accepted it as a deplorable, yet unavoidable, solution of a baffling difficulty. A small man looking backward over the illustrious path, that had been traversed during the last two decades might have been seized with the bragging spirit and given himself over to self-flattery. For the changes that had been wrought, not only in the external condition of the Church, but still-more in the inner life of its members, and in the social relations of mankind at large, were truly astonishing. A great blow had been struck in defense of the liberty wherewith Christ has made men free. The victor might have reclined on his laurels and condescended to receive the eulogies of his admirers. I permit the publication of my Disputations, or Theses, which have been discussed since the beginning of my controversy with the papacy and the leading sophists of the time, chiefly to the end that I may not become lifted up with the magnitude of the affair and the success which God has bestowed on it. 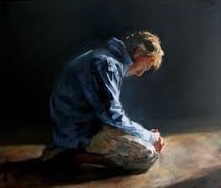 For in these Theses my disgrace is publicly exhibited, that is, my weakness and ignorance, which compelled me at the beginning to enter upon this business with the greatest trembling and misgiving. I was drawn into this affair alone, and without having foreseen it. While I could not retrace my steps, I not only yielded to the Pope in many and important articles of faith, but also continued to worship him. For at that time, who was I? An altogether miserable, insignificant little monk, more like a corpse than a living human being. And I was to run counter to the majesty of the Pope, before whom not only the kings of the earth and the entire world, but also heaven and hell (the threefold mechanism of the universe, as it has been called) stood in awe, and on whose nod everything hung! All that my heart suffered in that first year and the year after, and how great my humility, which was not feigned, and my near despair was, alas! how little of this is known to those who later began, in proudest fashion, to assail the wounded majesty of the Pope. Although, to use Virgil’s phrase –they did not compose these verses, but they carried away the laurels; which, however, I do not begrudge them. But while those people were spectators and left me in the lurch alone, I was not so cheerful, confident, and certain; for many things that I know now I did not know at that time. Yea, what indulgences were I did not know at all, nor did the entire papacy know anything about it. They were held in reverence merely because of an established custom and from habit Accordingly, my disputation was not for the purpose of abolishing them, but because, knowing full well what they were not, I desired to know what they might be. And since the dead or dumb teachers, that is, the books of the theologians and jurists, did not satisfy me, I decided to call in the living for counsel, and to hear the Church of God itself, in order that, if perhaps there were remaining anywhere instruments of the Holy Spirit, they might take pity on me, and, while profiting all, might also render me certain regarding the indulgences. Now, many good men extolled my Theses, but it was impossible for me to acknowledge them to be the Church and instruments of the Holy Ghost. I looked up to the Pope, the cardinals, the bishops, the theologians, the jurists, the monks, and expected the Spirit from them. For I had gorged and filled myself with their teaching to such an extent that I did not realize whether I was awake or sleeping. And after I had overcome all arguments with the Scriptures, I could in the end, even with the grace of Christ, scarcely get over this one point, except with the greatest difficulty and anguish, viz., that we must hear the Church. For the Church of the Pope I regarded (and that with all my heart!) as the true Church, with much greater stubbornness and reverence than these abominable parasites are doing who are nowadays glorifying the Church of the Pope to spite me. If I had despised the Pope as his eulogizers are now doing, I would have believed that the earth must swallow me up that very minute, as it did Korah and his followers. But to return to my subject,while waiting for the verdict of the Church and of the Holy Spirit, I was forthwith ordered to keep silent, and my superiors appealed to the prevailing custom. Frightened by the authority of the name of the Church, I yielded and declared myself ready to Cardinal Cajetan at Augsburg to keep silent, begging him humbly to impose silence also on the clamorous opposition party. But he not only refused my request, but added that if I did not recant, he would condemn me and all my teachings, whatever they might be. But at that time I had already been teaching the Catechism with no little success, and I knew that the Catechism must not be condemned, and that I must not permit this to be done, lest I should deny Christ. I did not, however, intend at this time to relate my history, but I confess my foolishness, ignorance, and weakness, lest any man –to follow the example of Paul, should think of me above that which he sees me to be, and in order that no one may entertain a doubt –if that should be possible –that in those great conflicts I was human, and am still human. At the same time I would by my example scare those foolishly brave, inexperienced (I had almost said conceited), miserable writers who have not learned to know the cross and Satan, and who think it nothing now to overcome the Pope, yea, the devil himself. They, consider it their duty to attack Luther, and when they have vanquished him, Satan is an object of ridicule to them. There spoke a great heart. No note of triumph steals even faintly into this reverie, but only the awe of chastened sorrow is allowed to speak before the wreckage of one of earth’s greatest idols that surrounds the speaker. By a sinner, I mean one that has transgressed the law; for “sin is the transgression of the law” (1 John 3:4). By the curse of the law, I mean that sentence, judgment, or condemnation which the law pronounces against the transgressor (Gal. 3:10). By justifying righteousness, I mean that which stands in the doing and suffering of Christ when he was in the world (Rom. 5:19). By the residing of this righteousness in Christ’s person, I mean, it still abides with him as to the action, though the benefit is bestowed upon those that are his. By the imputation of it to us, I mean God’s making of it ours by an act of his grace that we by it might be secured from the curse of the law. When I say there is no other way to be justified, I cast away to that end the law, and all the works of the law as done by us. …which is the doing and suffering of Christ when he was in the world. This is clear, because we are said to be “justified by his obedience” (Rom. 5:19); by his obedience to the law. Hence he is said again to be the end of the law for that very thing—“Christ is the end of the law for righteousness,” etc. (Rom. 10:4). The end, what is that? Why, the requirement or demand of the law. But what is it? Why, righteousness, perfect righteousness (Gal. 3:10). Perfect righteousness, what to do? That the soul concerned might stand spotless in the sight of God (Rev. 1:5). Now this lies only in the doings and sufferings of Christ; for “by his obedience many are made righteous”; wherefore as to this Christ is the end of the law, that being found in that obedience, that becomes to us sufficient for our justification. Hence, we are said to be made righteous by his obedience; yea, and to be washed, purged, and justified by his blood (Heb. 9:14; Rom. 5:18, 19). …even then when we stand just before God thereby, is clear, for that we are said when justified to be justified “in him”—“In the Lord shall all the seed of Israel be justified.” And again, “Surely, shall one say, in the Lord have I righteousness,” etc. And again, “Of him are ye in Christ Jesus, who is made unto us of God righteousness” (Isa. 45:24, 25; 1 Cor. 1:30). …even as our sins made the Lord Jesus a sinner—nay, sin, by God’s reckoning of them to him. It is absolutely necessary that this be known of us; for if the understanding be muddy as to this, it is impossible that such should be sound in the faith; also in temptation, that man will be at a loss who looks for a righteousness for justification in himself, when it is to be found nowhere but in Jesus Christ. The apostle, who was his crafts-master as to this, was always “looking to Jesus,” that he “might be found in him” (Phil. 3:6-8), knowing that nowhere else could peace or safety be had. …not only because they here are useless, but also they being retained are a hindrance. That they are useless is evident, for that salvation comes by another name (Acts 4:12). And that they are a hindrance, it is clear, for the very adhering to the law, though it be but a little, or in a little part, prevents justification by the righteousness of Christ (Rom. 9:31, 32). What shall I say? As to this, the moral law is rejected, the ceremonial law is rejected, and man’s righteousness is rejected, for that they are here both weak and unprofitable (Rom. 8:2, 3; Gal. 3:21; Heb. 10:1-12). Now if all these and their works as to our justification are rejected, where but in Christ is righteousness to be found. Therefore that there is no other way for sinners to be justified from the curse of the law in the sight of God than by the imputation of that righteousness long ago performed by, and still residing with, the person of Jesus Christ. Let us, then, now enter into the consideration of the first of these—namely, That men are justified from the curse of the law before God while sinners in themselves. That which I call, the mysterious act of our redemption, is Christ’s sufferings as a common person and as a sinner, though he always completely righteous. That he suffered as a common person is true. By common, I mean one that presents the body of mankind in himself. This a multitude of Scriptures bear witness to, especially that fifth chapter to the Romans, where by the apostle he is set before us as the head of all the elect, even as Adam was once head of all the world. Thus he lived, and thus he died; and this was a mysterious act. And that he should die as a sinner, when yet himself did “no sin, nor had any guile found in his mouth” made this act more mysterious (1 Pet. 1:19; 2:22; 3:18). That he died as a sinner is plain—“He hath made him to be sin. And the Lord laid upon him the iniquity of us all” (Isa. 53). That, then, as to his own person he was completely sinless is also as truly manifest, and that by a multitude of Scriptures. Now, I say, that Christ Jesus should be thus considered, and thus die, was the great mystery of God. Hence Paul tells us, that when he preached “Christ crucified,” he preached not only the “wisdom of God,” but the “wisdom of God in a mystery,” even his “hidden wisdom,” for, indeed, this wisdom is hidden, and kept close from the “fowls of the air” (1 Cor. 1:23; 2:7, 8; Job, 28:20, 21). It is also so mysterious, that it goes beyond the understanding of all men, except those to whom an understanding is given of God to apprehend it (1 John 5:20). That one particular man should represent all the elect in himself, and that the most righteous should die as a sinner by the hand of a just and holy God, is a mystery of the greatest depth. That the righteousness by which we stand just before God from the curse was performed by the person of Christ. Therefore this righteousness is inherent only in him. Firstly, He is said to have purged our sins by himself—“When he had by himself purged our sins, he sat down on the right hand of God” (Heb. 1:2, 3). I have shewed that in Christ, for the accomplishing of righteousness, there was both doing and suffering; doing, to fulfill all the commands of the law; suffering, to answer its penalty for sin. This second is that which in this to the Hebrews is in special intended by the apostle, where he saith, he hath “purged our sins” (Heb. 9:14); that is, by his precious blood; for it is that alone can purge our sins, either out of the sight of God or out of the sight of the soul. Now this was done by himself, saith the apostle; that is, in or by his personal doings and sufferings. And hence it is that when God had rejected the offerings of the law, he said, “Lo, I come. A body hast thou prepared me, to do thy will, O God” (Heb. 10:5-8). Now by this will of God, saith the Scripture, we are sanctified. By what will? Why, by the offering up of the body of Jesus Christ, for that was God’s will, that thereby we might be a habitation for him; as he saith again—“Jesus also, that he might sanctify the people with his own blood, suffered without the gate” (Heb. 13:12). Secondly, As it is said, he hath purged our sins by himself, so it was by himself at once—“For by one offering hath he perfected for ever them that are sanctified.” Now by this word “at once,” or by “one offering,” is cut off all those imaginary sufferings of Christ which foolish men conceive of; as, that he in all ages hath suffered, or suffereth for sin in us. No, he did this work but once: “Not that he should offer himself often, as the high priest entered into the holy place every year with the blood of others; for then must he often have suffered since the foundation of the world: but now once in the end of the world,” in the time of Pilate, “hath he appeared to put away sin by the sacrifice of himself” (Heb. 9:25, 26). Mark how to the purpose the Holy Ghost expresses it: he hath suffered but once; and that once, now; now once; now he is God and man in one person; now he hath taken the body that was prepared of God; now once in the end of the world hath he appeared to put away sin by the sacrifice of himself; by the offering up of the body of Jesus Christ once for all. For if he hath undertaken to bring in a justifying righteousness, and that by works and merits of his own, then that righteousness must of necessity be inherent in him alone, and ours only by imputation; and hence it is called, in that fifth to the Romans, the gift, the “gift of righteousness”; because neither wrought nor obtained by works of ours, but bestowed upon us, as a garment already prepared, by the mercy of God in Christ (Rom. 5:17; Isa. 11:10). First, This righteousness is said to be the righteousness of one, not of many; I mean of one properly and personally, as his own particular personal righteousness. The gift of grace, which is the gift of righteousness, it is “by one man, Jesus Christ. Much more they that receive abundance of grace, and of the gift of righteousness, shall reign in life by one Jesus Christ. Therefore as by the offence of one judgment came upon all to condemnation; even so by the righteousness of one the free gift came upon all men to justification of life. For as by one man’s disobedience many were made sinners, so by the obedience of one shall many be made righteous” (Rom. 5:15-19). Mark, the righteousness of one, the obedience of one; the righteousness of one man, of one man, Jesus. Wherefore, the righteousness that justifieth a sinner, it is personally and inherently the righteousness of that person only who by works and acts of obedience did complete it, even the obedience of one, of one man, Jesus Christ; and so ours only by imputation. It is improper to say, Adam’s eating of the forbidden fruit was personally and inherently an act of mine. It was personally his, and imputatively mine; personally his, because he did it; imputatively mine, because I was then in him. Indeed, the effects of his personal eating is found in my person—to wit, defilement and depravity; the effects also of the imputation of Christ’s personal righteousness are truly found in those that are in him by electing love and unfeigned faith, even holy and heavenly dispositions: but a personal act is one thing, and the effects of that another. The act may be done by, and be only inherent in one; the imputation of the merit of the act, as also the effects of the same, may be in a manner universal, extending itself unto the most, or all. This the case of Adam and Christ doth manifest—the sin of one is imputed to his posterity; the righteousness of the other is reckoned the righteousness of those that are his. Secondly, The righteousness by which we stand just before God from the curse is called “The righteousness of the Lord—the righteousness of God—the righteousness of Jesus Christ” etc. (Phil. 3:6-9); and that by way of opposition to the righteousness of God’s own holy law—“That I might be found in him, not having on my own righteousness, which is of the law, but that which is through the faith of Christ, the righteousness which is of God by faith.” Now by this opposition, as by what was said before, the truth is made exceeding clear; for by these words, “not having my own righteousness,” is not only excluded what qualifications we suppose to be in us, but the righteousness through which we stand just in the sight of God by them is limited and confined to a person absolutely distinct. Distinct, I say, as to his person and performances, who here is called God and Jesus Christ; as he saith also in the prophet Isaiah, “In the Lord shall all the seed of Israel be justified, and shall glory” (Isa. 45:25; 54:17). In the Lord, not in the law; in the Lord, not in themselves. “And their righteousness is of me, saith the Lord”: of me, not of themselves; of me, not of the law. And again, “Surely shall one say, in the Lord have I righteousness and strength.” Now, as I have already said, all this is to be understood of the righteousness that was fulfilled by acts and works of obedience, which the person of the Son of God accomplished in the days of his flesh in the world; by that man, I say, “The Lord our righteousness” (Jer. 23:6). Christ indeed is naturally and essentially righteousness; but as he is simply such, so he justifieth no man; for then he need not to bear our sins in his flesh, and become obedient in all points of the law for us; but the righteousness by which we stand just before God is a righteousness consisting of works and deeds, of the doings and sufferings of such a person who also is essentially righteousness. And hence, as before I have hinted, we are said to be justified by the obedience and blood of the Lord Jesus Christ, by the doings and sufferings of the Son of God. And hence again it is that he first is called King of righteousness; that is, a King of righteousness as God-man, which of necessity supposeth his personal performances; and after that, “King of peace” (Heb. 7:1-3); for what he is naturally and eternally in his Godhead he is not to us, but himself; but what he is actively and by works, he is not to himself, but to us; so, then, he is neither King of righteousness nor of peace to us, as he is only the Eternal Son of the Father, without his being considered as our priest and undertaker —“He hath obtained,” by works of righteousness, “eternal redemption for us” (Heb. 9:12). So, then, the righteousness by which we stand just before God is a righteousness inherent (only) in Christ, because a righteousness performed by him alone. Now that righteousness by which we stand just before God must be a righteousness consisting of personal performances; the reason is, because persons had sinned, this the nature of justice requireth, that “since by man came death, by man should come also the resurrection from the dead” (1 Cor. 15:21). The angels, therefore, for this very reason, abide under the chains of everlasting darkness, because he “took not hold on them” (Heb. 2:16, 17); that is, by fulfilling righteousness for them in their nature: that is a blessed word, to you—“To you is born this day in the city of David a Saviour, which is Christ the Lord” (Luke 2:11); to you, not to angels; to you is born a Saviour. Thirdly, It is yet further evident that the righteousness by which we stand just before God from the curse is a righteousness inherent, not in us, but Christ; because it is a righteousness besides, and without the law itself. Now take away the law, and you take away the rule of righteousness. Again, take away the rule, and the act as to us must cease: “But now the righteousness of God without the law is manifested, being witnessed by the law and the prophets” (Rom. 3:21). So, then, by such a righteousness we are justified as is not within the power of the law to command of us. Question: But what law is that which hath not power to command our obedience in the point of our justification with God? Answer: The moral law, or that called the ten commandments. Therefore we are neither commanded to love God, or our neighbour, as the means or part of our justifying righteousness; nay, he that shall attempt to do these things to be delivered from the curse thereby, by the Scripture is holden accursed of God: “As many as are of the works,” or duties, “of the law, are under the curse,” etc. (Gal. 3:10). Because we are justified not by that of the law, but by the righteousness of God without the law; that is, without its commanding of us, without our obedience to it: “Freely by his grace, through the redemption that is in Jesus Christ; whom God hath set forth to be a propitiation, through faith in his blood” (Rom. 3:24, 25). This is the righteousness of God without the law; that is, without any of our obedience to the law. Wherefore the righteousness by which we stand just in the sight of God cannot be inherent in us, but in Christ the King thereof. Fourthly, This is further made apparent by the capacity that God will consider that soul in to whom he imputeth justifying righteousness; and that is, “as one that worketh not,” as one that stands “ungodly in the judgment of the law” (Rom. 4:4, 5). But this I have handled before, and therefore shall pass it here. To conclude: If any works of ours could justify us before God, they would be works after faith received; but it is evident that these do not; therefore the righteousness that justifies us from the curse before God is a righteousness inherent only in Christ. 1. Because no works of the saints can be justified by the moral law, considering it as the law of works for life (Gal. 3:10). For this must stand a truth for ever—Whatsoever justifieth us must be justified by the moral law, for that is it that pronounceth the curse; unless, then, that curse be taken away by the work, the work cannot justify us before God (Rom. 3:21). But the curse cannot be taken away but by a righteousness that is first approved of by that law that so curseth; for if that shall yet complain for want of a full satisfaction, the penalty remaineth. This is evident to reason, and confirmed by the authority of God’s word, as hath been already proved; because the law, once broken, pronounceth death, expecteth death, and executeth the same on him that will stand to the judgment of the law; but no work of a believer is capable of answering this demand of the law; therefore none of his works can justify him before God; for the law, that notwithstanding complaineth. 2. No works of faith can justify us from the curse before God, because of the want of perfection that is in the greatest faith in us. Now if faith be not perfect, the work cannot be perfect; I mean, with that perfection as to please Divine justice. Consider the person, one that hath to do with God immediately by himself. Now, that faith is not capable of this kind of perfection it is evident, because when men here know most, they know but in part (1 Cor. 8:2; 13:12). Now he that knows but in part, can do but in part; and he that doth but in part, hath a part wanting in the judgment of the justice of God. So, then, when thou hast done all thou canst, thou hast done but part of thy duty, and so art short of justification from the curse by what thou hast done. 3. Besides, it looks too like a monster that the works of faith should justify us before God; because then faith is turned, as it were, with its neck behind it. Faith, in its own nature and natural course, respecteth the mercy of God through the Mediator Jesus Christ, and, as such, its virtue and excellency is to expect justification by grace through him; but by this doctrine faith is turned round about, and now makes a life out of what itself hath done: but methinks faith should be as noble as its fruits, that being the first, and they but the fruits of that. 4. To put all out of doubt; the saint, when he hath done what he can to bring forth good works by faith, yet he dares not shew these works before God but as they pass through the Mediator Christ, but as they are washed in the blood of the Lamb. And therefore Peter saith, those sacrifices of ours that are truly spiritual are only then accepted of God (1 Pet. 2:5) when offered up by Jesus Christ. And therefore it is said again, that the prayers of the saints, which are the fruits of faith, come up before the throne of God through the angel’s hand (Rev. 8:3, 4), that is, through the hand of Christ, through his golden censer, perfumed with his incense, made acceptable by his intercession. It is said in the book of the Revelation that it is granted to the bride, the Lamb’s wife, that she should be “arrayed in fine linen, clean and white; which white linen is the righteousness of saints.” This fine linen, in my judgment, is the works of godly men, their works that sprang from faith. But how came they clean? How came they white? Not simply because they were the works of faith. But mark, “They washed their robes, and made them white in the blood of the Lamb; and therefore they stand before the throne of God” (Rev. 7:14, 15). Yea, therefore it is that their good works stand there too. I conclude, then, “our persons are justified while we are sinners in ourselves.” Our works, even the works of faith, are no otherwise accepted but as they come through Jesus Christ, even through his intercession and blood. So, then, Christ doth justify both our person and works, not by way of approbation, as we stand in ourselves or works before God, but by presenting of us to his Father by himself, washing what we are and have from guilt in his blood, and clothing us with his own performances. This is the cause of our acceptance with God, and that our works are not cast forth of his presence. …and after so many times that the hand of Providence had been so prominently displayed on behalf of the Protestant Covenanters, that things would become easier for these committed Christians. But such was not the case. Serious disunion began to appear, even among the Covenanters themselves. In 1648 when the life of the late King had been in danger, the Parliament of Scotland levied a new army in his defense. The expedition had been defeated by Cromwell at Preston, and the Churchmen who had protested against the enterprise immediately acquired a new influence in the national councils. This beginning of strife was now to assume more serious proportions. When Cromwell heard that the young King was come to Scotland, he marched north and defeated the royal army at the battle of Dunbar. All parties in Scotland were agreed that there should be a new levy in the King’s interest, but great difference of opinion soon showed itself as to the manner in which the troops should be embodied. One of the chief leaders of the Protesting party was a minister who for ten years previous to this time had filled one of the most important charges in Berwickshire. This was Mr. James Guthrie, late of Lauder, and since 1649 one of the ministers of Stirling, then a city of some note, where the Court often came, and meetings of Parliament were sometimes held. He was of gentle birth, the son of Guthrie of that ilk in Forfarshire, and had been trained at St Andrews, where for a time he avowed himself of the Episcopal party. In a little while, however, he came under the powerful influence of Samuel Rutherford, who had been sent by the Assembly of 1638 to fill the pulpit at St Andrews, and counteract the Episcopal tendencies of the place. In this enterprise, Rutherford was very successful, not only by his preaching, which proved most attractive, but also by the private meetings he encouraged in the place, and which formed centres of influence acting upon many of the finer spirits in the University. 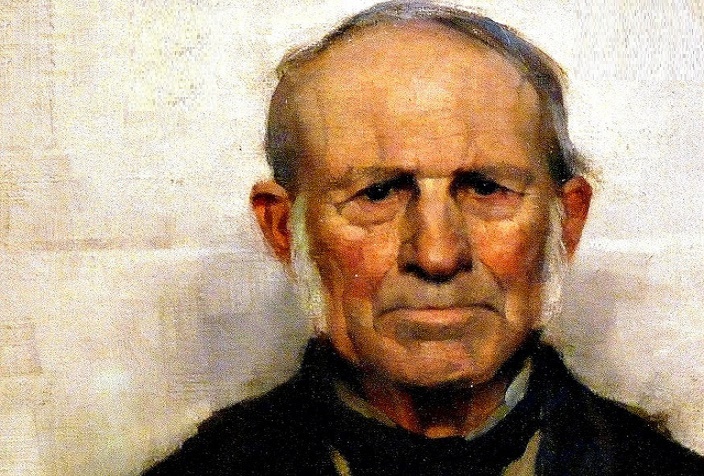 One of these was James Guthrie, whose heart a great disappointment had just opened –he had paid his addresses to Spottiswoode’s daughter and had been refused, –and who was therefore peculiarly apt at this time to seek the help of a master in the divine way of life. Rutherford, we may believe, spoke much to him of the love of God, and thus found the key to his wounded heart. This was indeed the peculiar excellence of that great teacher, and one which appears very clearly in his famous letters, where he treats with melting power of the Nuptials of the Soul to Christ, of the heavenly delight which breathes in these moments of conscious union with the Beloved, and of the ease and sweetness with which even desertion and loneliness may be borne for the Saviour’s sake. Thus, a noble champion was won for the cause of the Covenant in Scotland, –Rutherford, who attached great importance to the open confession of Christ, urging his pupil to sign that engagement, and inducing him to do so before he left St Andrews. Guthrie is said to have had perhaps the greatest mixture of fervent zeal and sweet calmness visible in any man of his time, a disposition which must have been partly natural to him, but was doubtless much heightened by the use he made of Rutherford’s instruction and appeals. This temper he carried to the work of the ministry in Lauder, where he was ordained in 1642. His gifts and breeding were publicly honored a few years afterwards, when he was chosen one of the three commissioners from the Assembly to King Charles I, then with the army at Newcastle. When Guthrie was translated to Stirling, the imposing and affecting scene witnessed at his last communion in Lauder bore witness to the worth of his services among the people of our shire. In his ministry at Stirling, Guthrie not only displayed such courage and constancy among his flock that he was known there by the name of “sicker foot,” but showed the same qualities on a wider stage, to which his new position gave him access. He preached against the Resolutions, and even employed his pen in the same cause; drawing up for his party the paper called “The Causes of the Lord’s Wrath.” The Committee of Estates called him to account for his bold words, but he declined to acknowledge their authority in a matter touching the liberty of the pulpit, and in company with his colleague Mr Bennet, who had concurred in his action, he was sent into a brief exile beyond Tay. More serious perhaps, as indeed the event proved, was the collision which occurred between Guthrie and Middleton. This was a soldier of fortune, who stood well with the young King, and unfortunately gained great influence in the royal councils. Middleton succeeded in persuading His Majesty to escape from Perth on the pretext of a hunting expedition in the north, with the purpose of placing himself in the hands of the Highland chiefs, who were pledged to rise with their clans in the royal interest. This wild scheme soon miscarried, the King, after a brief absence, returning and placing himself in the hands of the Presbyterians. Middleton was attainted of treason, and was condemned by the ecclesiastical courts to be excommunicated. The Spiritual sentence was put in the hands of Guthrie, who with great and intrepid solemnity proclaimed it from his pulpit at Stirling. In spite of the advantage derived from the leadership of such a man as Guthrie, the Protesters found themselves in a decided minority in the national councils. There the Resolutioners carried all before them, and matters being in this posture the misfortunes of the army in the field were not only in the interest of the Protesters, but proved a real advantage to the kingdom at large, by tending to compose these unhappy differences, which indeed grew less and less evident under the resolute government of the Protector. The more favorable turn of affairs which took place in the Commonwealth soon showed itself in the quickening of religious life throughout the country. The state of religion had indeed begun to amend some time before this, but now, in the enforced peace which the strong hand of Cromwell knew how to secure so well, even greater advances were made. The preaching of the Word was frequent and earnest, especially at communion seasons. Great multitudes assembled on these occasions, and there was reason to think that never since the Reformation itself had so many souls been converted to Christ in Scotland. We owe this testimony to the pen of one well qualified to judge, and whose favorable opinion may be supposed to relate to the shire at least as much as to any other part of the country. Mr. James Kirkton, the author of the “Secret and True History of the Church of Scotland,” was settled in the parish of Merton for five years before the troubles which followed the Restoration, and his testimony is strengthened by that of Livingston, who gives us to understand that the flourishing state of religion was particularly evident in the Merse and Teviotdale. Mr John Livingston made so great a figure in this part of the country that we may well take some account of his position and services. Like that of James Guthrie, his origin was noble, his great-grand father having been the son of the Lord Livingston of a former day. His early principles as an adherent of Presbytery stood in the way of his obtaining a charge as long as the Bishops were in power. He therefore took the situation of chaplain in the Earl of Wigton’s house at Cumbernauld, and while here preached his famous sermon on the Communion Monday at Kirk of Shotts in the year 1630, when there were such evident signs of the presence of the Holy Spirit, and so glorious a revival of God’s work in that part of the country. Eight years later he was settled in the church of Stranraer, and in 1648 he came to Ancrum upon a presentation by Lord Lothian, and the call of the people there. He became, as we should expect, a strong adherent of the Protesting party, leading that cause in the Synod of Merse and Tdaelveiot as Guthrie did in the north. The Protesters were favored indeed by Cromwell, and thus enjoyed much power and influence during the times of the Commonwealth. This was not due to any want of courage on their part in declaring their sentiments of affection and loyalty towards the exiled king; for when Guthrie was summoned to preach before the Protector, he spoke as boldly in that presence as he had formerly done in the court at Perth, defending the King’s right to reign with the greatest plainness and courage. Cromwell, however, had the magnanimity to remain tolerant in the face of these utterances. He even conceived a great favor for Guthrie, and for Livingston too, who also had the honor of preaching before him, seeing them to be thoroughly honest men, and resolving to give them and the party they represented his best countenance and help. In 1654 Livingston was appointed one of the Protector’s “triers,” that is, one of those deemed fit to examine the claims of preachers before their admission to parishes. He had already acquired much influence in the surrounding district by the weight of his character and the brilliance of his gifts, and the new position he now enjoyed was one which enabled him to do much towards supplying all that country with like-minded ministers. Thus the times of the Commonwealth not only secured peace and religious prosperity but were a true preparation for the coming trials. The Protesters were simply Presbyterians in earnest, and the strong hold which that party gained contributed greatly to the success of the good cause in the Merse. Written Rev. William Cunningham, D.D., 1805-1861. 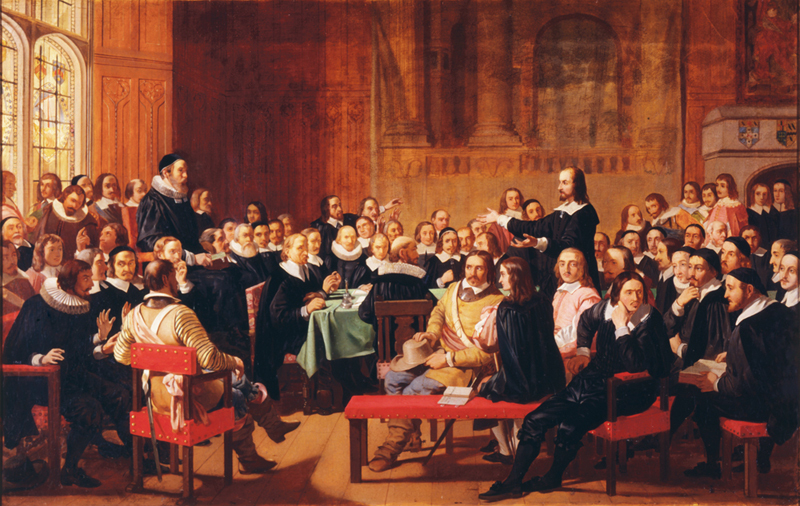 …than that the history of the Reformed Churches in general has fully established the unsound and dangerous character of the principles on which the Reformation was based, and especially of the two great Protestant principles of the right of private judgment, and of the sufficiency, perfection, and exclusive authority of the written Word as the rule of faith, the only available external source from which men’s convictions of truth and duty ought to be derived; and there is no doubt, that in skimming over the history of the Reformed Churches, they can easily enough collect materials which enable them to present a picture that seems at first sight to afford some countenance to the allegation. The topic on which chiefly they delight to dwell, when discussing this subject, is of course the number and variety of the different sects that have sprung up among Protestants, the differences and disputes that have arisen among men who all profess to be exercising the same right of private judgment, and to be following the same standard—the written Word. They are fond of stringing together the names of all the different sects that have sprung up among the Reformed Churches, the most obscure and insignificant as well as the most numerous and influential (often swelling the number by misrepresentation and by fabricating sects from the names of particular individuals, who may have held some peculiar opinions, but who had few or no followers in their singularities), and then representing the prevalence of all these sects as the natural and legitimate result and consequence of the Protestant principles above referred to. This has a plausible appearance to superficial thinkers, and it is not to be wondered at, that it should have a considerable influence on the minds of those who have been trained in the Church of Rome, in prejudicing them against Protestantism, and in preventing anything like a fair and impartial examination of its claims. It is, however, no difficult matter to perceive and expose the futility of all this, when it is seriously and deliberately propounded as an argument. The case stands thus. The Papists allege that the two great Protestant principles, of the right of private judgment and of the exclusive authority of the written Word, are unsound and dangerous; and the chief proof which they adduce of this position, that on which they most delight to dwell, and that which alone possesses any plausibility, is, that the history of the Reformed Churches shows, that the maintenance and application of these principles lead to injurious consequences, as is evidenced by the multitude of sects which hold opposite opinions upon many points—a state of things of course involving the prevalence of a large amount of error or opposition to God’s revealed truth. In dealing with this allegation, it is proper in the first place to direct attention to the real nature and import of the main position, and to the standard by which its truth or falsehood ought to be determined. The main position is, that the Protestant principles of the right of private judgment and of the exclusive authority of the written Word are false; and the evidence adduced in support of this assertion is that the practical tendency and results of them are injurious. Now we object to proceeding so hastily to a consideration of alleged practical tendencies and results, and founding so much upon these, without first examining whether the truth or falsehood of the principles themselves may not be ascertained more directly and immediately, by an investigation of evidence directly and properly applicable to this point. Men are very inadequate to judge fully and certainly of the tendencies of things, and very apt to fall into mistakes in estimating the relations of cause and effect in complicated questions; and therefore it is the right and safe course, when we are called upon to determine upon the truth or soundness of a principle, to examine, first, the evidence, if there be any, that bears directly upon the question of its truth and soundness, before we venture to involve ourselves in the uncertainties of an examination of all its tendencies and results. The truth and soundness of the principle itself is the main point, and this, when once ascertained, settles the whole question. A false and unsound principle has, of course, an injurious tendency, and will certainly produce injurious results; and its falsehood or unsoundness may often be confirmed and rendered more palpable by a practical exhibition of these. A true and sound principle, on the other hand, can never have any injurious tendency, or be in itself the proper cause or source, though it may be made the occasion, of injurious results; and the injurious results ascribed to it either stand in no relation to it whatever, or else are to be regarded as exhibiting only the abuse or perversion of the principle, and not its natural and legitimate application. If the direct investigation or the truth of falsehood of the principle propounded, on its own proper merits and evidence, be attended with much difficulty, and the fair result, after all, seem to be involved in some uncertainty, then our examination of its alleged tendency and consequences may be more reasonably allowed to have some weight in affecting the conclusion; though in general, and in all ordinary cases, the right and safe course is to begin with examining and making up our minds, if possible, on the direct and appropriate evidence, and then applying the ascertained truth or falsehood of the principle itself for enabling us to thread our way through the often complicated mass of alleged tendencies or results, and especially to distinguish accurately between what are natural and legitimate consequences, and what are merely abuses or perversions. These observations are of universal application. They are, I think, of some practical importance in controversial discussion; and they admit of being very obviously applied to the subject before us. Let it be considered, in the first place, whether or not the Protestant principles, of the right of private judgment and the exclusive authority of the written Word, as the rule of faith, are in themselves true and sound, and if their truth and soundness can be clearly established, then let it be maintained upon this basis, as of itself sufficient, that the evils which may have arisen in connection with the application of them, are not to be traced to these principles as their proper sources or causes, but are to be regarded as perversions or misapplications of them, as exhibiting only the abuse of the principles, and not their natural and legitimate application. Now, there need be no hesitation in asserting that the Protestant principles of the right of private judgment and the exclusive authority of the written Word, can be incontrovertibly established, on their own proper evidence, as true and sound, and that nothing can be adduced against them that has any measure even of plausibility, except their alleged tendency and consequences. I do not mean to enter upon anything like a discussion of those topics, but it may be proper to state briefly their true nature and grounds, as this will be sufficient to show something of the conclusive character of the evidence on which their truth and soundness rest, and at the same time, to illustrate the futility of assigning to these principles any proper tendency to produce, or any causal efficacy in producing, the evil consequences which Papists commonly ascribe to them. The Protestant principle of the right of private judgment does certainly not imply, as Papists commonly represent it, that men have a right to form any opinions they please, or that they are at liberty to gratify their own caprice and mere inclination in adopting their religious profession. There is nothing whatever in the Protestant principle upon this point, which is in the least inconsistent with the maintenance of these great truths, that men are responsible to God for all the opinions they form on religious subjects, that they bear guilt by the adoption of erroneous opinions, that therefore they are bound to conduct all their inquiries into divine things under a deep sense of their being responsible, not only for the application of the right means to reach that truth, but for actually reaching a right result, and that they are bound to employ all suitable means to attain a clear and certain knowledge of the truth, with perfect impartiality, with unwearied diligence, and unshrinking perseverance. All these positions are true in themselves, and of great practical importance. They are perfectly consistent with the Protestant principle of the right of private judgment, and they have been maintained by all true Protestants, and indeed, by all but infidel or semi-infidel rationalists. It is chiefly by insinuating that the Protestant principle of private judgment involves or produces a denial of these great truths, that Papists contrive to excite a prejudice against it, as if it were something very much akin to, or rather identical with, the infidel notion, that men are not responsible for their opinions, but may adopt any opinions upon religious subjects they please, without guilt and without danger. Now, not only does the Protestant principle afford no countenance to the infidel one, but, on the contrary, there is no ground on which men’s responsibility for the soundness of their opinions can be firmly based, or so clearly brought out, as in connection with the Protestant principle of the right of private judgment. This Protestant principle may be viewed either negatively or positively. Viewed negatively, it is just a denial of the right of any man, or body of men, to dictate to me or to any other man, what we are to believe or to practice in religious matters, so as to impose upon us an obligation to believe and to practice as they have prescribed, and just because they have so prescribed. And surely this denial is abundantly warranted, for it is manifest that such a right to dictate or prescribe can be rationally based only upon the infallibility of the party claiming it, or at least on his ability to answer for us, and to bear us scatheless, at the tribunal of Him to whom we are responsible; and the claims which Papists put forth to such an infallibility and power, on behalf of councils, Popes, and other ecclesiastical authorities, rest upon no foundation whatever, and are scarcely worthy of a serious answer. There is no man or body of men upon earth who can put forth a claim to a right to dictate or prescribe to others, which has any real plausibility to rest upon. All such claims, therefore, may be openly and unhesitatingly denied; and to deny all such claims is just virtually to assert, that each man must ultimately judge for himself upon his own responsibility—in the diligent and careful use, indeed, of all the available means of forming a right judgment, but certainly without receiving the doctrine of any man or body of men as of itself conclusive in determining what he ought to believe or to do. Now, this negation of all right to dictate or prescribe to others with conclusive authority, is just in substance the Protestant principle of the right of private judgment; and it is not absolutely necessary that any one, in maintaining that principle, should do more in argument than establish this negation. The principle, however, may be warrantably and safely regarded in a somewhat more positive aspect. If no man or body of men has the right to prescribe to me what I shall believe in religious matters, so that I can righteously and innocently follow his dictation, then the consequence is unavoidable, that I must form my opinion for myself—that I have a right to do so—and am under an obligation to do so—that it is my duty and my privilege to be “fully persuaded in my own mind,” and to receive nothing as true unless and until I am myself satisfied, through some competent and legitimate medium of probation or standard of reference, that it is true. Now, this is all that is involved in the Protestant principle of the right of private judgment; as thus explained, it is clearly and incontrovertibly true; and it stands perfectly clear of all connection, real or apparent, with those infidel or semi-infidel principles with which Papists labour to confound it. It is indeed, only when this right, and the corresponding duty—a right, which viewed in relation to the unfounded claims and pretensions of other men, and a duty, when viewed in relation to men’s allegiance to God and the promotion of their own best interests—are duly recognised and acted upon, that men can have any adequate sense of their responsibility for the formation of right opinions, or will be likely to use due care and diligence in the use of the right means for the attaining of truth; and nothing is more certain, and more fully established by experience, than the tendency of Popery to eradicate from men’s breasts a sense of personal responsibility, and to lead them to devolve this responsibility upon others, who have never produced any evidence of their ability to discharge it. The general substance of these observations applies equally to the other great Protestant principle to which I have referred—viz., the exclusive authority of the written Word, as the only standard of faith. The truth and soundness of this principle can also be clearly and conclusively established—so clearly and conclusively, indeed, that no apparent injurious tendency, and no alleged injurious consequences, should in the least shake our convictions on this point. It, too, as well as the former, may be regarded both in a negative and in a positive aspect. Viewed negatively, it is just a denial that there is any other source than the written Word, from which the mind and will of God on matters of religion can be fully and certainly learned. 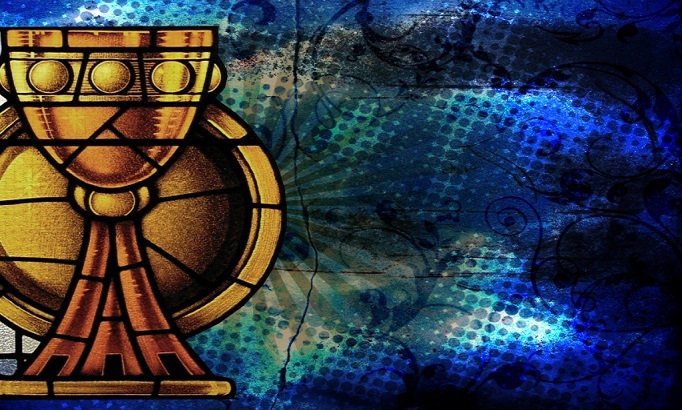 In this aspect, its truth is to be established by examining and disposing of the claims of other pretenders to anything like co-ordinate authority in determining our faith—such as antiquity, tradition, the consent of the Fathers, the authority of the Church, or the decrees of Popes and Councils. This examination is not attended with any great difficulty. The claims of all these pretenders can be disposed of, and disposed of triumphantly, and the practical result is that we are fully warranted in maintaining as a principle conclusively established, that there is no other external source but the written Word, from which we can learn with accuracy and certainty the mind and will of God. The principle, in the more positive form, is just the assertion of what Protestants have been accustomed to call the sufficiency of the written Word in point of fullness and clearness, and its perfection or completeness as a rule of faith. This may be regarded as a fair deduction from the principle in its negative form, for if the Bible be the written Word of God, and there be no other external source from which we can accurately and certainly learn the mind and will of God, then it follows that the written Word must have been intended to be the only rule and standard of our faith, and must have been fitted by its author of the accomplishment of this object; and these are positions moreover which we can prove to be asserted by the Bible with regard to itself. The Protestant principle of the exclusive authority of the written Word no more implies, as Papists commonly assert, that men may put any interpretation they please upon the statements of Scripture, than the principle of the right of private judgment implies, that they may adopt generally any opinions they please. All deference to mere inclination or caprice is excluded. The true and real meaning of the statements of Scripture as they stand there is to be ascertained. All means naturally fitted as means to contribute to the attainment of this end, are to be employed under a deep sense of responsibility, with perfect impartiality and with unwearied diligence, and God by the promise of His Spirit has made provision that men, in the due use of these means, shall attain to a correct knowledge of his revealed will, and shall not fall into error, except through their own faults; and it is only when these views are recognised and acted upon, that men can be expected to be duly solicitous about the adoption of all the means, though the use of which they may attain a correct knowledge of the meaning of Scripture, and be animated in their investigation of it by a due sense of their responsibility. The Protestant principles, then, of the right of private judgment, and of the exclusive authority of the written Word, as the only source from which the mind and will of God can be accurately and certainly learned, are clearly and conclusively established—so clearly and conclusively established upon their own direct and appropriate evidence, that we are fully warranted in refusing to enter into an investigation of their alleged tendency and results, for the purpose of ascertaining from this source whether they are true and sound or not. If the Papists could produce direct evidence of their falsehood and unsoundness that was possessed of plausibility, so as to leave the controversy upon this point doubtful, they might have some fair ground for challenging us to a discussion upon their alleged tendency and consequences. But when the direct evidence of their truth is so satisfactory, and when all that has been adduced on the other side is so weak and frivolous, we are entitled to take our stand upon their proved truth and soundness, and to maintain as a position necessarily involved in this, that any injurious consequences which have been ascribed to their operations, are not their natural and legitimate results, but arise from the perversion or misapplication of them. But though we are fully entitled, upon the grounds which have been explained, to dispose in this way of the common Popish allegation as to the conclusion deducible from the history of the Reformed Churches, and though it is important that we should ever remember, that in all discussions of this sort, with whomsoever conducted, the primary question is, are the principles themselves true and sound, or are they not?—yet we do not need to shrink from a direct investigation of the tendency and results of the principles under consideration, and we can at least easily show, that nothing can be proved to have resulted from them, which in right reason should lead us to entertain any doubt either of their being true and sound, or of their being safe and salutary; or, in other words, the evils which have been ascribed to their operation, cannot be shown to be their natural and legitimate consequences, but rather can be shown to be traceable to other principles which may have been held by some Protestants along with them, but with which they have no natural or necessary connection. 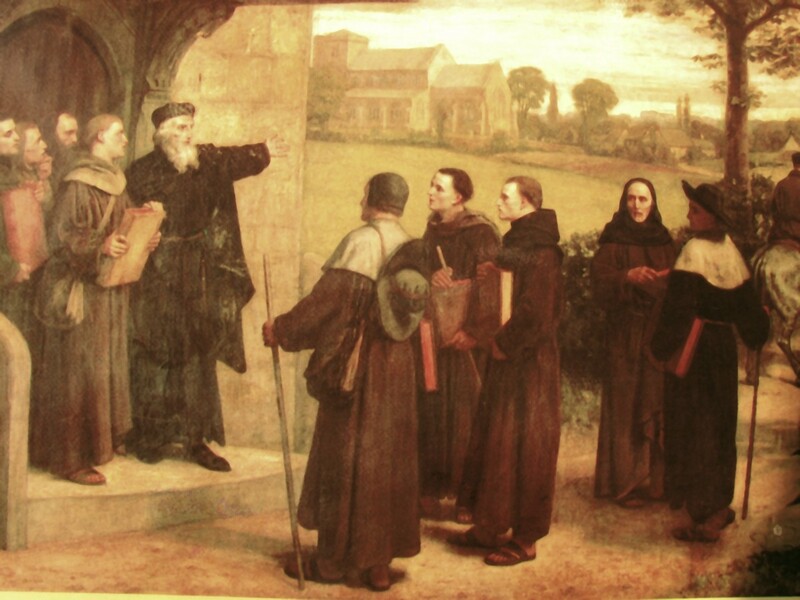 If men calling themselves, or called by others, Protestants, probably upon no other or better ground than merely that they were not Papists, have openly professed, or have acted as if they believed, that it was of little or no importance what opinions they held upon religious subjects, provided they were sincere; or if they have allowed their opinions to be formed merely by the outward circumstances in which they were placed, or the influences to which they were subjected, without being at the pains to ascertain what was the right standard, and to follow it steadily and faithfully; or if they have sought fame and distinction by indulging in paradoxes, or by propounding what they expected to excite the surprise, and perhaps to shock the feelings of others; or if they have in any measure regulated their professed opinions by a regard to personal and selfish objects, or by mere whim and caprice—assuredly in these cases the Protestant principle of the right and duty of private judgment was not responsible for the errors into which they fell. They were not applying this principle in a right and legitimate way, but were abusing or perverting it under the sway of sinful principles and motives, which they cherished and indulged in place of mortifying and subduing. These sinful motives, these corrupt influences, were the true and real sources of the evils and the errors, and not the true and sound principle which these views led them to misapply and pervert. In like manner it is very easy to point out, in surveying the history of the Church, mistakes, errors, and sins in the mode in which the Scriptures have been read and applied; and these ought to be regarded as the true sources or causes of the errors into which men have fallen in the interpretation of the Bible, and not the true and sound general principle, that the written Word is the only authentic standard of faith and practice. Independently of those directly sinful motives and influences to which we adverted under the former head, as perverting men in the exercise of the right or the discharge of the duty of private judgment, and which have also operated largely in the perversion of the interpretation of Scripture, it has been very common for men, while professing to be searching into the meaning of the Word of God, to bring their own preconceived notions and fancies to the Scriptures, and to labour to procure for them some countenance from that quarter, instead of really drawing their opinions from Scripture by an impartial and conscientious investigation of the meaning and import of its statements. It has been no uncommon thing for men to engage in the work of interpreting Scripture in a light and frivolous or in a merely controversial, spirit, without any adequate sense of their obligation to investigate carefully its true meaning, and it submit implicitly to its authority. Many have entered upon this work while they had erroneous and defective notions of the principles by which it ought to be conducted, and while they are very scantily furnished with those resources and appliances, which are manifestly useful, if not indispensable, as means to aid and assist in the interpretation of such a book as the Bible is. Many have professed to interpret the Bible without any sense of the necessity of the promised agency of the Spirit to guide them into all truth, a principle true in itself, and always maintained by the Reformers and by all their genuine followers, as a necessary part of their whole doctrine in regard to the rule of faith; and being involved in ignorance or error upon this important point, they have failed to plead the promise of the Spirit, to realise their dependence upon his agency, and to seek his guidance; and on this account, or from this cause, they have fallen into great and dangerous error. These things are the true causes, the legitimate and satisfactory explanations, of a large portion of the errors which have been broached by men who professed to be acting upon the Protestant principle of using the Bible as the only standard of faith. They are not involved in that principle, or fairly and naturally deducible from it. They are not exhibitions of its legitimate application; on the contrary, they are abuses and perversions for which the principle itself is in no way responsible. They are to be traced not to the natural and legitimate operation of the principle, but to a failure to follow it out fully and fairly, or to the operation of errors and perverting influences which have no natural or necessary connection with it, but which being de facto combined with it in the same persons, have been the real causes of the evils which are unwarrantably ascribed to it. Even, when we cannot distinctly and specifically trace the errors into which men have fallen in the interpretation of the Bible, to these or to any other abuses or misapplications of the Protestant principle—to these or to any similar errors or perverting influences which have de facto accompanied its application, we are still entitled to maintain the general position, that this principle, rightly used and applied, is not the proper cause or source of error in the interpretation of Scripture, inasmuch as we might contend, that in an strict and proper sense the principle is then only rightly used and applied when the true and real meaning of the Scripture is correctly brought out. The principle, viewed in its tendency and practical bearing, and laying out of view its established truth and soundness, cannot be shown to involve or to bring into operation any source or cause of error, or to exert any influence directly or indirectly in producing it. It simply asserts, that the truth of God is accurately and certainly set forth in the statements of Scripture and nowhere else, and on this ground directs men to go to the Bible, and to labour in the use of all appropriate means to ascertain its meaning, assuring them at the same time, that by the right use of the right means they will attain this end, and will not fail of it except through their own fault. There the principle stops, its influence and application go no further. These two great questions, what is the only authentic source of the knowledge of divine things; and 2nd, what are the true and correct views of divine things derived from this source are perfectly distinct from each other, and should never be intermingled or confounded together. Men may be agreed in regard to the first, who differ widely in regard to the second. Each of these questions should be answered and disposed of upon its own proper grounds. If a man, who agrees with me upon the first question, differs from me upon the second, that is surely no reason why I should renounce the principle of the exclusive authority of Scripture as the only rule of faith—a principle which we hold in common, but only a reason why I should attempt to convince him, in the use of all legitimate and appropriate means, that he has made a wrong use, or application of the principle, and that from some cause or other he has mistaken the true meaning and import of Scripture statements. It is true that I have no right to dictate or prescribe authoritatively to him what he is to receive as the true and real meaning of Scripture, any more than he has to dictate or prescribe to me; but the want of any such right to dictate is in no way inconsistent with the doctrines, that the Bible is the only standard of faith, that all its statements are true, that these statements have a certain definite meaning, and that that meaning may be ascertained. It may be true, that I cannot lay my hand upon the motives or influences which have led him astray in the interpretation of Scripture, but such motives or influences may have been in operation, though the Searcher of hearts may have reserved the judgment of them to his own tribunal. Experience, indeed, proves that it is no easy matter to convince men, that the views which they may have formed of the meaning of Scripture are erroneous, and may suggest the apprehension, that controversies and errors upon religious subjects are not likely to be soon brought to an end, without some special enlightening and sanctifying influence from on high; but this only proves, that it was not the plan of God’s wisdom so to fashion and form His Word, or so to regulate in other respects the communication of his gifts and benefits, as to secure that all men who have the Bible in their hands, and who profess to be searching into its meaning, should be preserved from all error, and guided into all truth, while it affords no presumption, that he has established any other means, or made any more effectual provision for securing this end, and while it is important to observe that the provisions for effecting this, which the Church of Rome ascribes to the all-wise God, besides being wholly unsanctioned by Him, have in point of fact just as much failed in accomplishing it as the Bible, regarded and treated in the way in which Protestant principle represents it. The great Protestant principles, then, of the right and duty of private judgment, and of the exclusive authority of the written Word, are undoubtedly true and sound in themselves, liable to no objection that is possessed of plausibility; and therefore they cannot be the direct and proper causes of schisms and heresies. Much error, indeed, has been taught by many who professed to hold and to act upon these principles; but it is easy to show that they are not responsible for the errors which have been ascribed to them, and that the errors are really traceable to the abuse or perversion of them. These considerations should convince us of the utter futility of the common Popish allegation, professedly founded upon a survey of the history of the Reformed Church, viz., that these principles are the true causes or sources of the errors and heresies which have sprung up and still exist; and while they should warn us of the numerous and varied sources of error to which we are exposed in the investigation of divine things, and in the interpretation of the sacred Scriptures, and constrain us to be most diligent and faithful in the use of all the means by which these dangers may be averted, and the whole truth of God may be secure and held fast, they should just lead us to cleave more closely to the written Word, to take it as the only light unto our feet, to study it under a deeper sense of our responsibility for ascertaining its true meaning, and especially to abound more in prayer, that God would give us His Spirit to preserve us from all error, and to guide us into all truth. But while it is easy enough to show, as a mere matter of logic or dialectics, that the Popish argument which we have been considering is destitute of all real weight, and that the only fair result of an impartial examination of the whole subject, must be to confirm us in our conviction of the certain truth of the great principles of the Reformation, and to impress us at the same time with a deeper sense of our responsibility for applying them rightly, so as to bring out a true and accurate result, yet it should not be forgotten, that practically, and in point of fact, the schisms and heresies which have sprung up among Protestants have done a great deal to injure the cause of the Reformation, and to strengthen the hold of the Church of Rome on the minds of her votaries. The Romanists are well aware of the practical influence of this consideration, and take care to turn it to good account. One of the most eminent Popish controversialists of the present day—M. Malou, formerly Professor of Theology in Louvain, and now Bishop of Bruges—goes so far as to say, that the reason why the ecclesiastical authorities think it safe to allow the Romanists a much greater indulgence in regard to reading the sacred Scriptures, in Great Britain and the United States than in Popish countries, is, because the contentions and divisions among Protestants more than neutralise any mischief which the reading of the Scriptures might produce, and prove a powerful and permanent preservative against error. (La Lecture de la Sainte Bible on langue Vulgaire, par J. B. Malou, Louvain, 1846. Tom. i. p. 69; tom. ii. p. 277.) There may be some bluster and insincerity in this allegation. But the fact that such an allegation was openly made, is well fitted to impress, and to fix our attention upon one great source of Protestant weakness and Popish strength. It is well fitted, not only to remind us of the responsibility connected with the formation of all our opinions upon religious subjects, but also to constrain us to have it for a great object of desire, and prayer, and effort—first, that all who profess to take God’s Word as their rule and standard should, as far as possible, be of one mind and of one heart; and second, where this cannot in the meantime be accomplished, that the unity of mind and heart—the oneness both in judgment and in affection, which really does exist among all true Protestants, and especially upon the most essential topics bearing upon the answer to the question, “What must I do to be saved?” should be openly and consistently proclaimed, should be publicly and palpably exhibited, and should, so far as may be practicable, be embodied in united and strenuous efforts in opposing the great adversary, and in advancing the cause and the kingdom of their one common Lord and Master. …sentence is a very strong one. It is a conclusion arrived at from the study of a scripture of Isaiah, “He hath blinded their eyes, and hardened their heart: that they should not see with their eyes, nor understand with their heart, and be converted, and I should heal them.” Let us apprehend the point of the Evangelist’s sentence and the Prophet’s Scripture. soul refuses the report of the messengers of God, and closes itself against the evidence of light, they beheld law; and, beholding law, they discerned God. In the working of the law they did not hesitate to trace the action of God, to declare, ” It is He who has blinded the eyes and hardened the heart.” In point of fact, the blindness is because the necessary conditions of spiritual sight have been traversed. St John dwells much on cans and cannots. “The Son can do nothing of Himself, but what he sees the Father do.” “I can of mine own self do nothing.” That is,”it is the necessity of the Divine Sonship to do all in perfect sympathy with and correspondence to the Father.” And, again, as to Discipleship: “No man can come to me, except the Father which hath sent me draw him.” ” Except a man be born again, he cannot see the Kingdom of God.” In these and in other places the can and cannot have a moral significance. They refer to impossibilities which have their root in the presence or absence of certain inward states or dispositions. And similarly,the could not of the passage before us implies the want of the disposition to believe, the operation of a spirit of mind which is wholly incompatible with a loyal and earnest trust in Jesus Christ. For example, the people, we are told, meet the Lord with the objection,” We have heard out of the law that Christ abides for ever: and how sayest thou, The Son of man must be lifted up? Who is this Son of man? ” Two difficulties have been raised in their minds by the saying, “I, if I be lifted up from the earth, will draw all men unto me.” The one; the law speaks of a king whose “dominion is an everlasting dominion.” Yet Jesus speaks of being “lifted up from the earth.” The other; Jesus assumes the title Son of Man, yet they knew the Messiah as the Son of David. Was then the Son of Man other than the Messiah? If not other, if the same, why use the non-national term? Now, Christ does not deny the reality of these difficulties. He does not find fault with them for having, and for expressing, such difficulties. That is not His way. He is no brow-beater of honest doubt. But what He urges is,” Do not thrust the difficulties between you and the testimony which God has given to this Son of Man. If you cannot see who He is, if you cannot discern the inner glory of His being, at least recognize the force of Divine life that is in Him. You have not forgotten Lazarus called by Him out of the grave and raised from the dead. You know how many signs of this life have been set before you. Yield your minds to this evidence. Leave the perplexities for solution in the future. Take the blessing of the light that is now with you.” They would not do so. They determined that they must have an answer to their hows. Intellectual cavilings were allowed to intercept spiritual light, to prevent spiritual vision. And such being their temperament, they could not believe. Is it too much to say that, for the same reason, there are many amongst the people of the nineteenth century who cannot believe? I do not allude to the occasions of unbelief which are part of the deeper spiritual history of a man ; I allude to a type of mind which is often praised as the sign of intellectual smartness –disputatious, so occupied with little points that the effect of the conjunct testimony is lost, so constantly posing as a debater or a critic, that the light cannot get fully into the heart which, by its own shining, would illumine what seems to be doubtful. Farther, the passage is suggestive of a spiritual inaction which involves the loss of faith. For, let us note what is said as to the chief rulers. “Many believed on Him; but because of the Pharisees they did not confess Him, lest they should be put out of the Synagogue. For they loved the praise of men more than the praise of God.” Compare this statement with that contained in a previous chapter of this Gospel. At the Feast of Tabernacles, the Priests and Pharisees sent officers to apprehend Jesus. The officers failed to do so, excusing themselves by saying, “Never man spake like that man.” “Have any of the Rulers or of the Pharisees believed in Him?” was the immediate retort. One alone, Nicodemus, ventured to protest against the summary procedure of his colleagues, and by so doing aroused their suspicion. Now, we have the assurance that, even in the Sanhedrin, there was a considerable party in favor of the Prophet of Nazareth, although prudent considerations prevented them from confessing Him. No doubt, it was cowardly conduct. It is dangerous to play with convictions, dangerous even to delay the expression of them in appropriate action. All persons, indeed, are not alike. There are peculiarities of disposition which must be respected. Some are reserved in any indication of feeling, reticent in speech, afraid, sometimes morbidly so, of any exaggeration, and thus it happens that they rather conceal than reveal their true selves. A stranger is apt to misjudge them. But it is well to remind such persons that they run the risk of both weakening their own faith and love, and hiding, as the Psalmist puts it, the righteousness of God. Their witness for the Lord may be muffled, their service may be hindered. What Christ Himself insists upon is, that he who is but a fainthearted believer, who is not truly with Him, is, for practical purposes, really against Him. Alas! do we not all need to be warned of the two great enemies, cowardice and indolence? ” the coward which shrinks from “the offense of the cross;” the indolent which is the parent of faithlessness. In the parable no turpitude is charged against the servant who hid the talent. The indictment is: “Thou wicked and slothful? From him the talent is taken.” The word of faith which we preach is, that if thou shalt confess with thy month the Lord Jesus, and shalt believe in thine heart that God raised Him from the dead, thou shalt be saved. For with the heart man believes unto righteousness, and with the mouth confession is made unto salvation? What then is the action in which faith is preserved and perfected? For the answer, we shall listen to Jesus only. The substance of His instruction is contained in the two sentences, “Believe in the light, that ye may be the children of light.” “Walk while ye have the light, lest darkness come upon you.” In other words, no question is to be allowed to divert the mind from that which is its present and immediate duty, which is the free, unreserved, acceptance of the light that is shining on the soul. “Whatsoever doth make manifest is light:” where God is manifested in the righteousness which is so narrow, and the charity which is so broad: where human nature is manifested in what is worst and in what is best ” the depths disclosed and the heights revealed; where there is “truth followed in love:” there is light. One hour –then, “He that rejects Me, and receives not My words, hath one that judges him. “Who?” The word that I have spoken the same shall judge him at the last day. Thus the Lord, the “swift witness” of the kingdom shakes off the dust of His feet as He leaves the unbelieving world. Shortly hence it will marvel at His silence. For His own followers –as may it be ours to see! –the best speech has been kept until now.